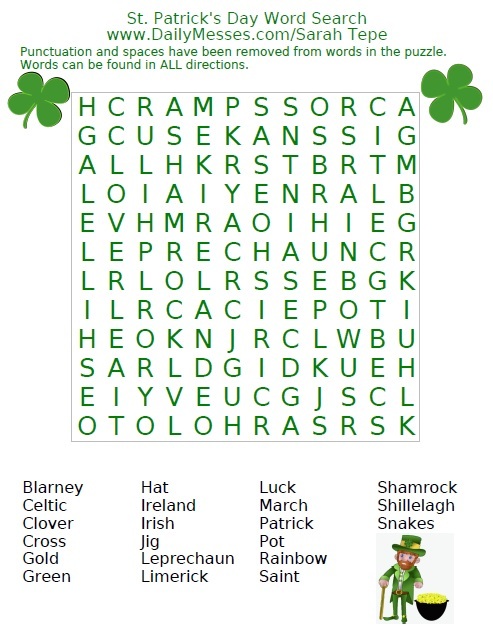 It's getting closer to St. Patrick's Day! 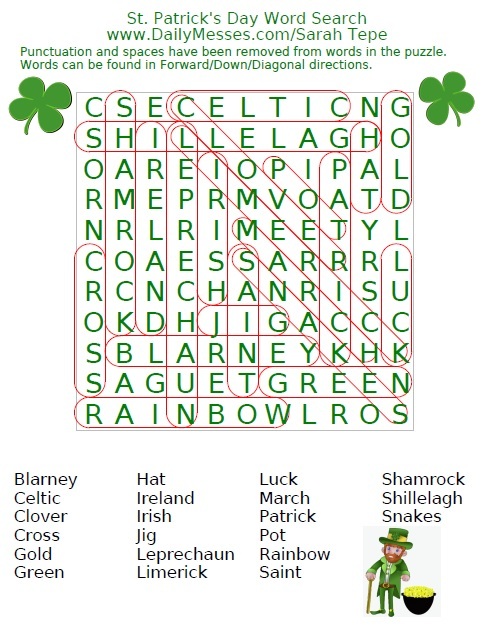 I made a St. Patrick's themed word find/word search. 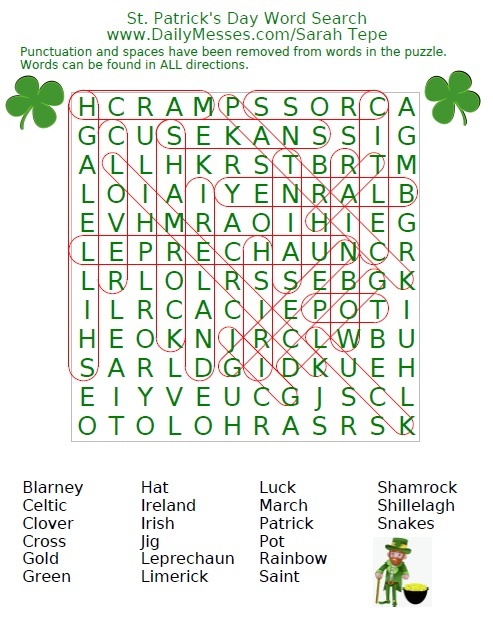 There are two versions of the word find: one is harder with words in ALL directions, the other is a little easier with words in Forward/Down/Diagonal directions (not reverse). 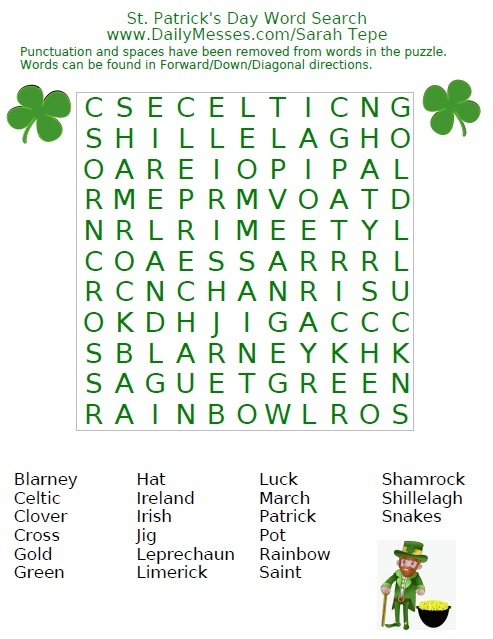 To make printing easier, I have the jpg's below and links to a pdf in Google Docs. Click on Google Docs link, Click Downward Arrow symbol. You can choose to Open in Adobe, Save as PDF, then Print. On a mobile device, it will open a new window and you can print from there.